Currently, the elders of Morrow Bible Church are Marvin Gassman (Pastor), Robert Raynard, Steve Lewis, and Stephen Howard (Assistant Pastor). Jesus Christ is the head of the Church (Col. 1:18; Eph. 1:22-23), therefore our leadership strives to guide our church according to His will. 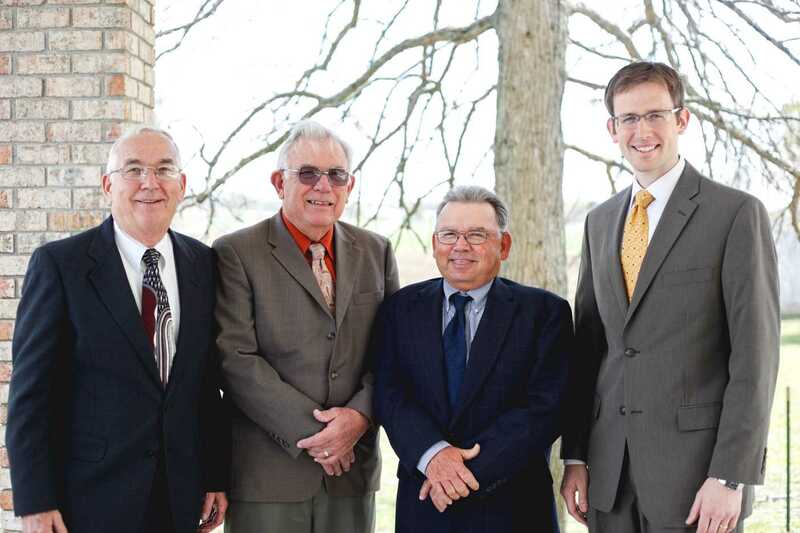 The governmental authority of Morrow Bible Church is vested in its active membership with the Board of Elders serving as the executive body on behalf of the congregation. All elders are to meet the qualifications and carry out the responsibilities of 1 Timothy 3:2-7 and Titus 1:6-9, but the Bible teaches that some elders perform some of these activities in a more intense capacity. First Timothy 5:17 explains, “Let the elders that rule well be counted worthy of double honour, especially they who labour in the word and doctrine.” At Morrow Bible Church, we refer to these elders as “pastors,” though all of our elders exercise a shepherding function. The Board of Elders meets on a monthly basis.